The Damon brace system is an orthodontic treatment, which uses modern technology to achieve straight teeth. The Damon braces are made of fine wires, which use minimal friction technology to encourage the teeth to move into the correct position. Damon braces in Glasgow works by using wires attached to brackets on the teeth to straighten them. The brace uses self-ligating brackets (brackets with a clip), which eradicate the need for elastic bands or metal ties. Damon braces treatment typically takes around nine to eighteen months to complete. There is usually no pain involved in fitting the braces but the teeth can be tender over the first few weeks and also possibly after adjustment visits. 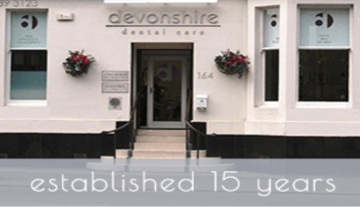 During the initial consultation here at Devonshire Dental Care, the dentist will discuss the treatment with the patient and answer any questions they may have. The dentist will then examine the patient’s mouth to see if they are a suitable candidate for the treatment. If approved for treatment, photographs and an impression of the patient’s teeth will be taken. The brace will then fitted by the dentist. The patient will be asked to return to the dentist every 6 weeks to adjust the brace. Fixed orthodontics done by Allan Rennie with Damon Braces.